The Audio Mixer Combination Cases are protective carrying cases custom-fit to each audio mixer. This Combination Case includes a large removable RM-MULTI Wireless Receiver pouch and also a strong, thick, padded suede strap. The RM-MULTI's main compartment comes with padded dividers to comfortably and securely house multiple receivers. 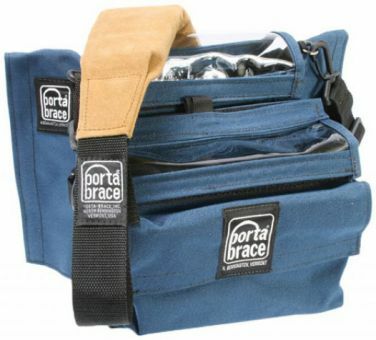 The pouch also features a convenient smaller front compartment for additional extras. On both the left and right exterior of the pouch there are attachment points for the users hop sends or IFB transmitter. The main mixer compartment of the MXC allows for easy access to all audio input/outputs and also external controls. The optional addition of the AH-2 audio harness/belt is recommended for use with this MXC bag. The simple but strong harness upgrade provides additional stability and optimum weight distribution.